Is a composer, songwriter, singer, and multi-instrumentalist based out of New York. Raised by jazz musician parents in New York City, she grew up absorbing a diverse blend of musical genres, continuing to study composition more formally at New England Conservatory in Boston, MA, and later to immerse herself in the world of West African music when she began studying the rhythmic percussion traditions of Ivory Coast and Guinea. She works as a composer/arranger and music teacher, and is a member of the Kotchegna Drum and Dance Company, led by Ivory Coast-based master drummer and dancer Vado Diomande. She also performs her own original music throughout the NY area and beyond. Her debut Album 'Yarrow' is out this year on Biophilia Records. Moved to New York City from Australia in 2014. She is an arts and education engagement specialist who successfully bridges the two worlds of social justice education and arts based practice, and has developed a strong framework for social dialogue, advocacy and education. Debra is an expert project and program manager with successful projects in Australia, Sri Lanka and the United States. Debra has been performing Playback Theatre since 1999 and acknowledges Playback as one of her most successful love affairs. Is a native son from San Juan, Puerto Rico, and has been involved with Playback Theater for 11 years. He joined BAPT in 2010. Prior to joining BAPT, he was a founding member of Philadelphia Queer Playback (2001 - 2004) and Philadelphia Playback for Change (2005 - Present). He hasparticipated in several Playback projects, including being a member of the delegation that went to New Orleans after hurricane Katrina, founding member of Yers… and Playback Co in Kenneth Sq Pa. and recently appointed as the International Playback Theatre Network (IPTN) North America Membership Secretary. He completed the Playback Leadership training program at Centre for Playback in 2010. In addition, he has been a community organizer within the Latino and LGBT communities, a Spanish and Latin American Studies professor at Temple University (1999-2004), Rutgers University (2001 - 2006) and Camden Community College (2001 - 2006). Davis relocated to Metro Jersey/NYC area to pursue a MSW at NYU’s Silver School of Social Work in 2009, and completed his MSW in 2012. Ashley (Ash) Marie Straw, is a Voice, in the world, for Healing and Transformation; a widely sought-after Yoga and Meditation Teacher in the five boroughs, Program Coordinator/Consultant and Performing Artist. She has studied Yoga for thirteen years in the Iyengar and Integral Yoga traditions as well as Hinduism, Western Philosophy & Theatre Arts at Stony Brook University. She is a graduate of The American Musical & Dramatic Academy in New York and the Royal Academy of Dramatic Arts Contemporary Drama Program in the UK, who utilize her background in Music and Theatre, practically, to inform her work in transformational education. And, when she is not Acting, Coordinating Programs or Teaching, Ash is the lead singer, and lead composer of the dark blue, a five-piece band that plays soulful, dance-able and deeply-moving, cinematic music regularly throughout New York City and at Music/Yoga Festivals along the East Coast. Ann Belmont grew up in the Catskills and began working as a guitarist at an early age. 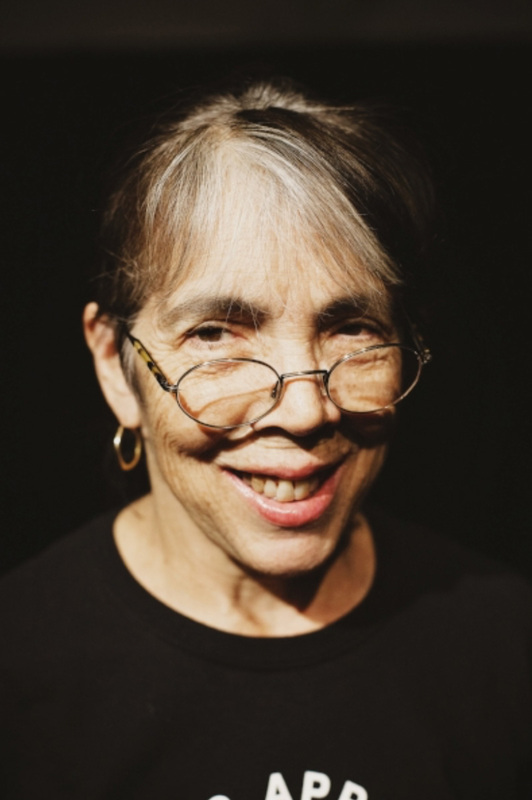 Ann was a founding member of the original Playback Theatre company, being one of the first two musicians who learned to create spontaneous soundscapes for people's stories. Upon moving to NYC, she found steady work as a freelance guitarist and singer, and specializes in Brazilian music. She is a former church music director, faculty member of the Hoff-Barthelson Music school in Scarsdale, and director of the Rainbow Chorus in Kingston, NY. She fronts her own band on occasion, showcasing her songs, and has been a member of the BMI Jazz Composers–Workshop for many years, contributing many pieces to its regular concerts. She has released one CD of original songs, and has Master's degree in composition from CCNY. She also works with Hudson River Playback. Is an actor, musician and graduate student at NYU pursuing a degree in Drama Therapy. Before moving to New York, she completed her BA in both psychology and theatre at the American University of Beirut. She acted, sound designed and managed several plays based in Beirut, Lebanon. 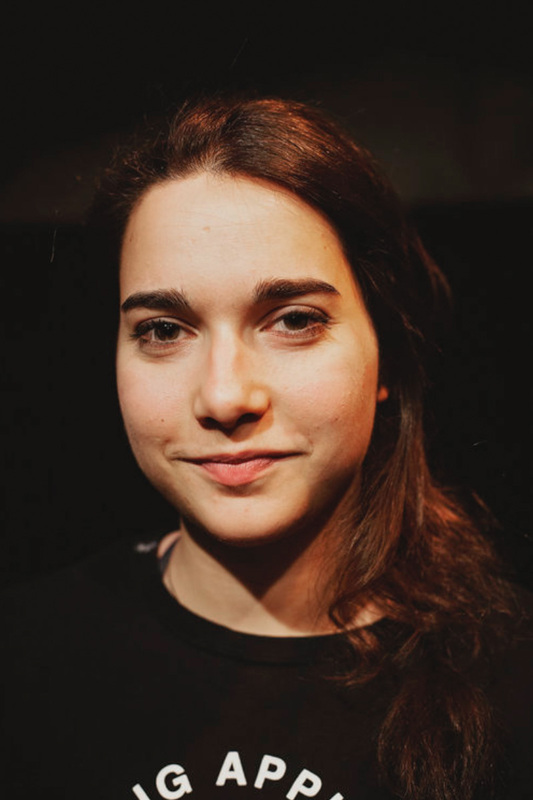 Back home, she trained and performed with Wasl, a playback theatre troupe, and worked on putting up several projects of forum theatre with the ensemble. Currently works as an Executive Bilingual Reading Coach for the American Reading Company, traveling all over the United States. In this capacity, he works closely with superintendents and principals to restructure their reading curriculums and independent reading systems. He also trains teachers in best practices in both English and Spanish. Before this unique opportunity, he worked as a second grade bilingual teacher with the Dept. of Education (NYC) in the Bronx. Mario first started Playback fifteen years ago and has performed for diverse audiences across the globe including the United States, South America, Puerto Rico and Europe. Mario studied theatre at Performing Arts High School where he graduated with a theatre diploma and then went on to graduate with a B.A. in Psychology from S.U.N.Y. Purchase and a M.A. in Education from Lehman College. Mario was a founding member of the first Playback Company in NYC called the Washington Heights Playback Theater Company, under the direction of Lori Wynters. Mario hopes to continue with his Playback career in search of those untold stories and anticipates another great season of storytelling and community building. Let’s Watch! Holds a BFA from the Tisch School of the Arts at NYU. She has trained at the Stella Adler Conservatory and the Royal Academy of Dramatic Arts in London. She received her MA in Performance Studies from NYU in 2004 where she had the opportunity to study and perform under Anna Deavere Smith and Richard Schechner. She has trained with Gardzienice Academy of Theatre Practices in Gardzienice, Poland and Raina Van Waldenburg in NYC. You can see her in the award-winning mock-u-mentary short ‘The Humberville Poetry Slam’ (www.humberville.com). Christine is passionate about helping families navigate the world of childbearing and teaches Childbirth Education classes. choes From The Womb” which addresses the darker side of reproductive health and the need for birth equity. Grew up in Japan. As a child, she always acted and 'played back' characters she saw on TV or in her life, at the playground. When she came to the U.S. with no English language skills, she found theater to be her "home" as she could express her emotion despite her less than fluent English speaking skills. She learned stage acting at Mary Baldwin College and Marymount Manhattan College, HB Studio, graduating from the NYU Drama Therapy Master's Program. 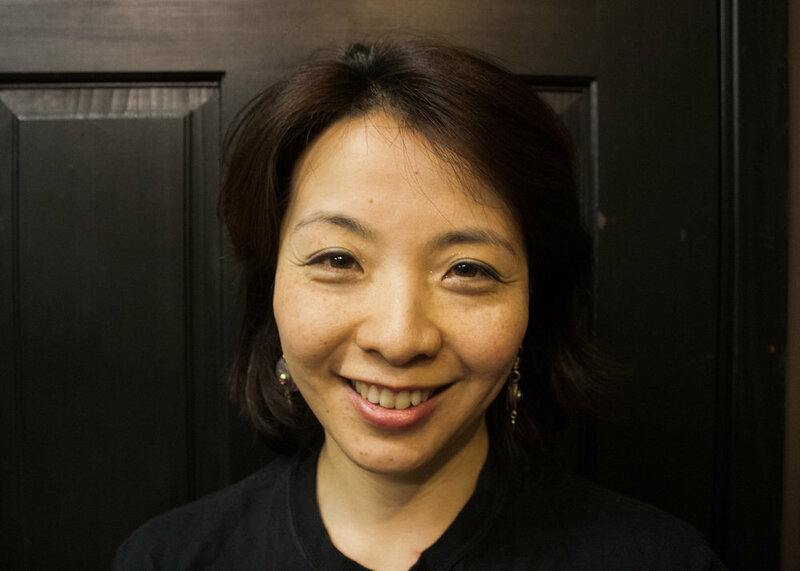 From 2002-2006, she served as the artistic director for Sakura PlaybackTheater in NYC and has taught a variety of improvisational theater workshops, and Drama Therapy in various organizations, after school programs, and graduate programs. She is a psychotherapist and child life specialist in private practice, working with teens, adult and couples in NYC and NJ. Her practice can be found at www.dramaforhealing.com Mizuho is raising her two children with her husband and enjoys playing the different roles in her life. Mizuho loves cooking and making green tea every morning. Is a writer and actor who splits his time between his stoop garden in NYC and his window garden in LA. His first play, the story of the WWI Christmas Truce In Fields Where They Lay (dir. Brad Raimondo) was hailed by the NY Times as “gripping” and “moving drama.” Since that debut, Sundance Institute selected Ricardo for their Inaugural Writer’s Intensive and his Alan Turing Biopic, The Tender Peel, won him an Alfred P. Sloan Grant. He has been a fellow of the Emerging Writer's Group at the Public Theater where he developed his play Separate & Equal, and he has received several grants from the Lower Manhattan Cultural Council. Upcoming projects include a 2017 remount of In Fields Where They Lay and the Public Theater’s production of his most recent play. Hannah, Associate Professor of Dance and Theatre at Manhattanville College, conducts dance and theatre workshops internationally, teaching and performing in Cuba, Japan, Hong Kong, Northern Ireland, Brazil, and West Africa. 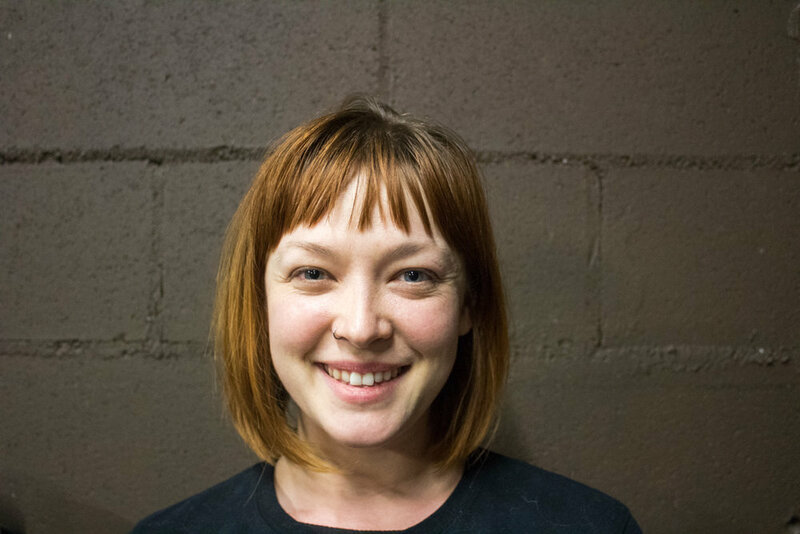 Hannah has been a dedicated artist-in-residence in New York City's public schools, and was the founder and director of the 92 St. Y Young Women’s Youth Theatre (an Eve Ensler pilot project). She is the editor of Akimbo: Scenes and Monologues by the Young Women's Theatre Collective (1999). In 2003 Hannah received her Masters degree from New York University with a concentration in Performance Studies. Hannah has had articles published in TDR (The Drama Review) (2007), Contact Quarterly (2009), and Utne Reader (2010). Her latest book, Zoomy Zoomy: Improv Games and Exercises for Groups (2010), is on stands now. Hannah is the daughter of the founders of Playback Theatre and a certified yoga instructor. Born and raised in Milford, Connecticut. He recently graduated from Manhattanville College where he studied under Hannah Fox. Two years out of college, he has become a new member of Big Apple Playback Theatre and is thrilled! While working fulltime at The Adventure Park, in Bridgeport, Ct, he performs with The Tara Theater, The Westport Community Theater, and The Eastbound Theater. BAPT has been opening so many doors and connecting him to new people and projects to grow with. He shines as a light for others and performing is a way for him to light the way for others. Is a professional actor who has worked in TV, film, off-Broadway and regionally and is a proud member of SAG-AFTRA and the Actor's Equity Association. Sipiwe, graduated from NYU's Tisch School of the Arts where she studied at the Experimental Theatre Wing and minored in Applied Theatre. In addition to being an actor, she has also worked in management consulting, as a holistic health coach, and a high school acting teacher. Performance has always been her first love, as she believes strongly in the power of storytelling to transform and build community. She is honored to have been a member of Big Apple Playback Theatre since 2003. Her website is www.sipiwe.com. Acts as a Community Coordinator for the New York City Department of Health and Mental Hygiene. She received a Bachelor of Arts from the City College of New York and also acquired a Master’s of Science at Hunter College. A native of New York, Ayodele holds strong ties to her Haitian origins. Inspired by a trip to Haiti in September 2009, she is determined to shed light on the taboo subjects of sexual violence and reproductive wellness among women and children through art therapy.